As alumni, we realize the benefits of our experiences at The Ohio State University and have many fond memories of our college days. The Ohio State University Alumni Club of Los Angeles (OSULA) is committed to giving students from Southern California the opportunity to sing the praises of Ohio State. Our student recruitment committee visits thousands of young students each year in an effort to attract top students to Ohio State. 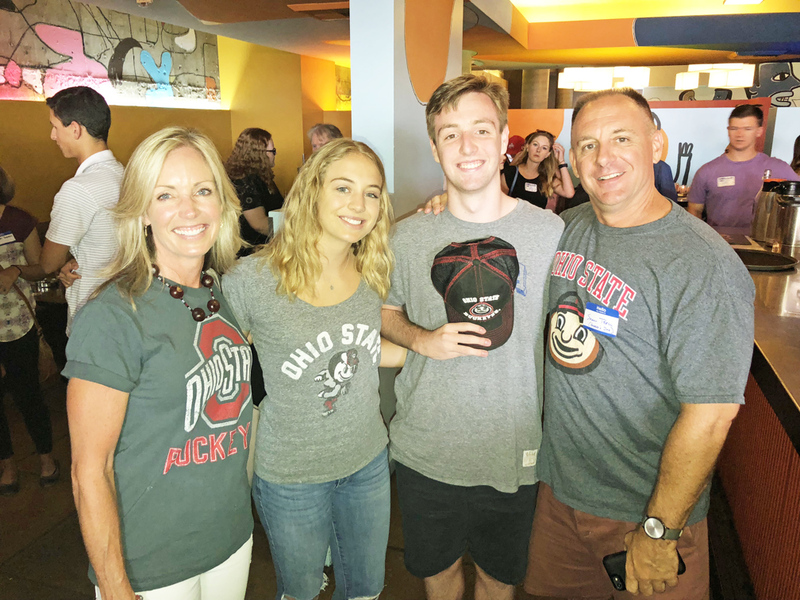 Most importantly, as part of The Ohio State University Scholars Program, OSULA awards up to $15,000 in scholarships each year and several years ago established an endowed scholarship in the club’s name. If you would like to make a tax-deductible contribution to the OSULA Scholarship Fund, please send a check (made payable to The Ohio State University) to OSULA, 1054 Harrison Avenue #4, Venice, CA 90291. Thank you in advance for your support of the university and OSULA. Throughout the year, OSULA represents Ohio State at several college fairs around Los Angeles. We pass out Ohio State literature and answer the questions of potential new Buckeyes. Fairs are generally held on weekday evenings. It’s easy, Ohio State provides ‘facts and answers sheets’, and we always send you with others who have done it before. For more information, please contact the OSULA scholarship committee at LAClub@osu.edu. LOS ANGELES (July 25, 2018) – Audrey Trell of Palos Verdes Estates, Calif., has been selected as the 2018-19 scholarship winner of The Ohio State University Alumni Club of Los Angeles (OSULA), it was announced today by OSULA Interim President Ryan Whitacre. 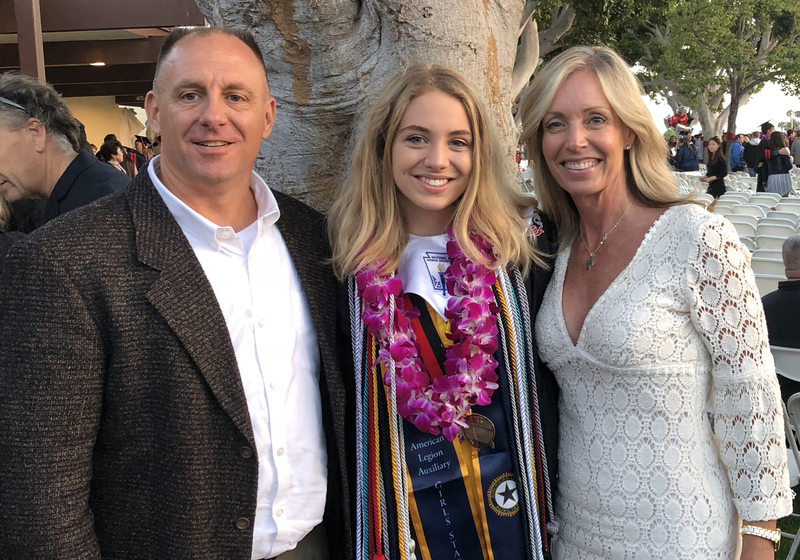 A Palos Verdes High School graduate, Trell has been awarded a $5,000 scholarship from OSULA towards her studies that begin this fall at OSU’s Columbus campus. 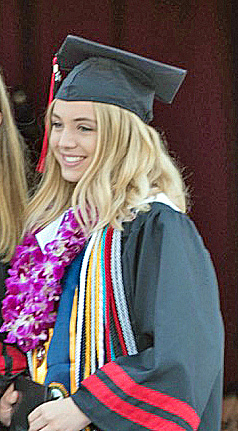 A valedictorian among her PVHS graduating class of 462, Trell posted an accumulative grade point average of 4.73 during her impressive high school career. While Trell grew up in California, she actually is a Buckeye native and has a family of Buckeye fans who helped guide her decision to leave the comfy confines of sunny Southern California for a collegiate career in the four-seasons climate of Central Ohio. Audrey was born in Columbus, Ohio, and lived there nine months before her family moved to the Golden State. Her father Shawn graduated from Upper Arlington High School, and her mother Julie is an Akron/Canton native who received her bachelor’s and law degrees from Ohio State. 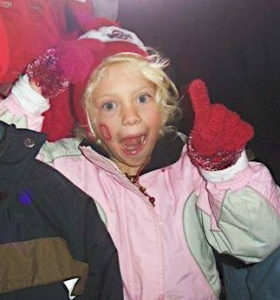 Her grandfather Eugene also has been a Buckeye football season ticket holder for the past 50 years. “I want to attend Ohio State because I love Ohio State,” says Trell. “Some of the most vivid memories I hold from my childhood are chanting “O-H-I-O” and waving my arms in the air during the Ohio State football games. I was indoctrinated at a young age to say, “THE Ohio State University,” to not bring up “that team up north” at family dinners, and to love being a Buckeye. In addition to her 4.0-plus high school GPA, Trell was a member of the National Honors Society as well as a three-year member of the National Science, Spanish and English Honors Societies, serving as president of the board in the latter her senior year. She also was a 2017 California Girls State delegate and a four-year member of the Principal’s Advisory Committee. Not just a dedicated student, Trell found time to be tutor, mentor and volunteer, as well as four-year performer on her school’s song dance team, her final two years on the varsity squad. She also was a three-year member of the school’s broadcast journalism program, serving as executive producer of Open Orchards Productions as a senior, and a three-year member of her school newspaper’s editorial staff, serving as editor of The Point her senior campaign. As if her plate was not full enough, she founded her PVHS’s Habitat for Humanity Campus Chapter as a sophomore, and participated for three years in building events and donation drives to advocate for affordable housing on behalf of Habitat for Humanity of Greater Los Angeles. “Ever since I met Audrey, I could tell she is a young lady that is going to make a difference in the world,” says PVHS School Counselor Christina Sunada. “Last year she was at the top of my list for Girls State. I knew that she would love the opportunity to go to Sacramento and help create and implement new laws and learn more about political issues going on in our country and state. I am happy to say Audrey did enjoy her time and hopes to continue to be a part of change in this country. At Ohio State, Trell’s initial plans are to be a political science major as an undergraduate, with a law degree in her sights. “My time at California Girls State influenced my fascination with politics,” explains Trell. “My ability to enact change within the program encouraged a sense of confidence in my ability to become a successful political science major. While she will be based in Columbus throughout her college career, and heading back to Southern California on breaks, she does not expect to limit her experiences to the Midwest and the West Coast.